Here's what I did yesterday! I didn't tell anyone, because I was unbelievably nervous - just like last time. 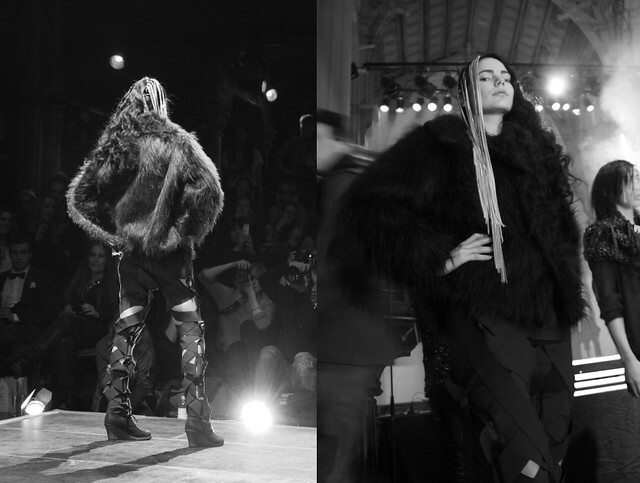 600 people was invited to the Jakob Church of Culture for the show of Cosmo Beauty and VATLE's collection Ashes A/W 2011! The crazy chains in my hair was created by Ulla "awesome" Rafaelsen and my flawless make-up is by Vidar Svendsen. I had a great time, despite my nervousness : so thank you so much Kjersti and Ulla for letting me be a part of your big day! You guys rock! Most interesting...I wish I could see more. Thank you! More pictures to come, lovely! Takk det samme! :) Flaks at du overlevde de tunge lenkene da, haha.